Register to help Bangor Land Trust continue to offer access to unique and valuable natural areas. Riders of all ages and abilities are welcome and encouraged. Ride solo, with a friend, or register a team! 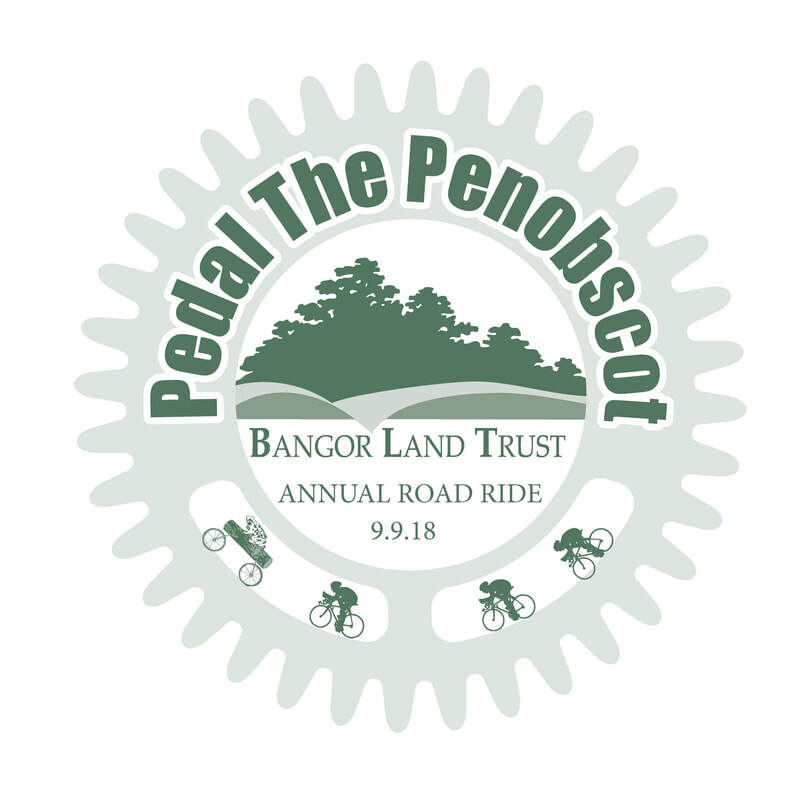 You'll receive an annual membership to Bangor Land Trust and are entered in a raffle for prizes. The first 150 to register receive an event shirt. The finish celebration will be at High Tide Restaurant. Rest stops, sweeps and sag wagons are available throughout the ride. Riders must wear helmets and obey traffic laws. Children under 14 must be accompanied by an adult. Pedal the Penobscot takes place rain or shine. ONLINE registration ends at noon on Saturday, September 8. Registration before the event is also available at the BLT office (9 Central Street, Suite 201). at the Bangor Land Trust office, 9 Central Street Suite 201 on Friday, September 7 from 10 to 5 and Saturday, September 8 from 10 to 12. Riders may also pick them the morning of at the ride's starting location (High Tide Restaurant). High Tide Restaurant & Bar parking spots will be limited due to the riders' finishing area. Please choose one of these other locations. 6:30am - Registration opens for 76 and 100 mile riders. 7:00am - Official start for 100 mile riders. 8:00am - Official start for 76 mile riders. 8:15am - Registration opens for 12, 26 & 50 mile riders. Additional lunches may be purchased for your support crew for $15 per person. Please, no early starts unless you think it is absolutely necessary to finish your route before 3:00 pm. If this is the case, please notify ride officials at the time of registration. Thank you.